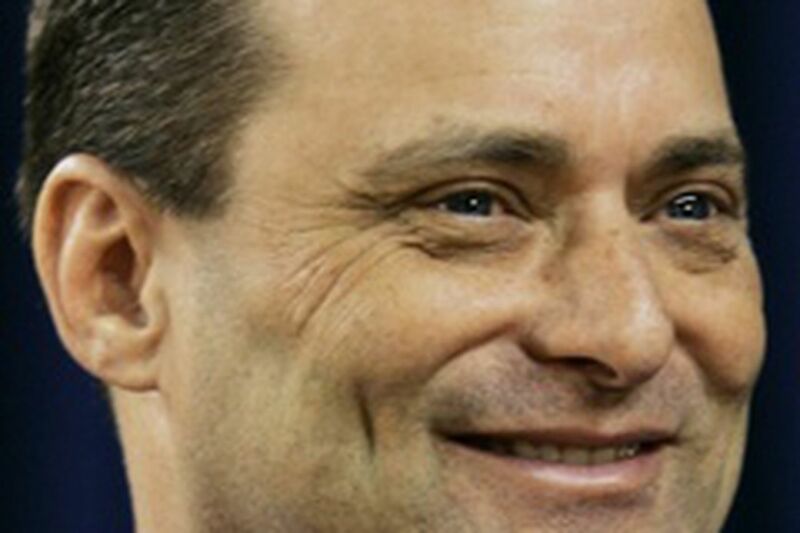 Billy Gillispie peeked at the seven national championship banners and didn't flinch. He welcomes the pressure of coaching at college basketball's winningest school. "You want to be at a place that expects to win every single game," said Gillispie, the former Texas A & M coach hired yesterday to replace Tubby Smith. "You want to be at a place that gives you the opportunity to win every single game, and this is the place." Is it ever. Kentucky's legions of fans can be famously passionate but notoriously critical when a season doesn't end with a Final Four trip. Smith spent a decade in the spotlight's glare before heading to Minnesota on March 22. Kentucky athletic director Mitch Barnhart didn't approach Gillispie until Florida coach Billy Donovan decided to stay with the Gators rather than return to the place where he began his coaching career as an assistant under Rick Pitino. He got a 7-year contract that will pay him $2.3 million a year, with another $850,000 in performance and academic bonuses available if he can return the school to its perch among the elite. The 47-year-old confessed workaholic is 100-58 in five seasons as a coach. He needed only 2 years to rebuild UTEP between 2002 and '04 before moving on to Texas A & M, where he molded the perennial Big 12 also-rans into contenders. The Aggies went 27-7 this season, making it to the NCAA Tournament's round of 16 for the first time in 27 years. Kentucky went 22-12 last season, losing to Kansas in the second round of the NCAA Tournament. Not a bad year by most standards, except maybe at Kentucky, now in the unaccustomed spot of five double-digit loss seasons in the last 8 years. Gillispie was contacted by Arkansas recently about replacing Stan Heath, but chose to stay with the Aggies. He agreed to a new contract last week that would have paid him $1.75 million a year, but he never signed. * Kansas State assistant Frank Martin was promoted to the head-coaching job, replacing Bob Huggins, who resigned after one season to return to his alma mater, West Virginia. Huggins replaced John Beilein, who left to become Michigan's coach. * Louisville coach Rick Pitino said he hired his son Richard Pitino, 24, a former assistant at Duquesne, as his new assistant. Pitino said assistant Kevin Willard left to take the head-coaching job at Iona College, which Iona wouldn't confirm. * Florida assistant Donnie Jones was hired to coach at Marshall. * Dayton forward Norman Plummer, who averaged 8.2 points a game last season, received a release so he can transfer. Plummer was convicted in October of driving under the influence of alcohol after pleading no contest. * Washington hired Duke assistant Tia Jackson to re-energize the women's program. She replaces June Daugherty, who was fired last month after 11 seasons.